Are you interested in learning how to apply Amazon Alexa Skills to common development tasks? This course explains and demonstrates how to automate the process of building, testing, and deploying a Java project to the cloud using Amazon Alexa Skills with Continuous Integration and Continuous Delivery (CI/CD). This content will help you gain an understanding of core CI/CD concepts. We start by covering aspects of CI/CD process automation using tools provided by AWS, Jenkins, Blue Ocean and Maven. We then gain the skills needed to automate the process of building, testing, and deploying a Java project to the cloud using Amazon Alexa Skills. We learn how to do this by integrating the Alexa Skills Kit (ASK) with AWS services like Lambda and Elastic Beanstalk. Software Developers, Build and Release Engineers, Alexa Enthusiasts. We welcome all feedback on content please reach out to us at support@cloudacademy.com with any questions or comments. Welcome to the Alexa for CI/CD course, I'm Kesha Williams, a Software Engineering Manager with Chick-fil-A and an Alexa Champion. I've been in IT for over 20 years and I've published several Alexa skills. I'm very excited about this course, because I've always wished that Alexa were smart enough to deploy my code for me, and now she is. In this course, you will learn to automate the process of building testing and deploying a Java project to the cloud. Recognize and explain the core concepts of Continuous Integration and Continuous Delivery. Recognize and work with Jenkins Pipeline and Blue Ocean. Extend Alexa by developing a skill using the Alexa Skills Kit, and integrate Alexa with other AWS services like lambda and Elastic Beanstalk. In order to be successful in this course, you will need basic knowledge and principles of software engineering and development, basic knowledge of Amazon Web Services and an account. Basic knowledge of Continuous Integration and Continuous Delivery, and basic knowledge of the Alexa Voice Service. I've divided this course into five sections. The first section, project introduction discusses the components of the project and reviews the architecture diagram. The second section, introduction to CI/CD, review CI/CD concepts and tools. The third section, introduction to Alexa, discusses the Alexa Voice Service and how to extend Alex's capabilities. The fourth section, integrating Alexa with Jenkins connects all of the components and tests via an echo device. We end with a wrap-up and next steps to continuing your learning journey. Let's start by seeing the "DevOps Pal" Alexa skill in action. Alexa, open DevOps Pal and deploy my code. Your code is being deployed, you can check the status via your Jenkins Blue Ocean Pipeline page. Here we are on the build stage. Now we're on the test stage. And lastly on the deploy stage. So let's test the Java project that we just deployed to Elastic Beanstalk using Jenkins. It's a spring based RESTful API. So I've opened postman, and I'm going to test my API using postman. So I'm going to click on Send. And notice the response coming back from the API is hello world. In this course, I will show you how to build your own version of my "DevOps Pal" skill and use Alexa for business to make the scope private to your organization. Let's start with an introduction to the project. software engineering manager, mentor, speaker, tech blogger, and STEM advocate. 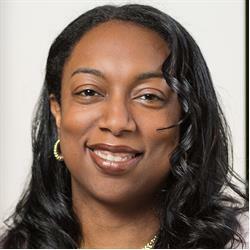 Kesha Williams (pronounced KEY-SHA) is an award-winning software engineering manager with over 20 years’ experience. She's passionate about emerging technologies, speaking, teaching, and mentoring. She's trained thousands of software engineers in the US, Europe, and Asia while teaching at the university level. She routinely leads innovation teams in proving out emerging technologies and shares her learnings at technical conferences around the globe. She recently won the Ada Lovelace Award in Computer Engineering from Look Far and the Think Different Innovation Award from Chick-fil-A for her work with Artificial Intelligence (AI). She was recently featured in Amazon's "Alexa Women of Voice" campaign and named an Alexa Champion. In her spare time, she leads the Georgia chapter of Technovation, writes news for InfoQ, authors video courses, and mentors women in tech.